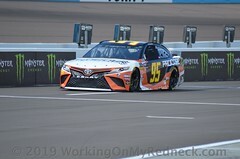 Bob Jenkins will expand his Front Row Motorsports team in 2019, signing Matt Tifft to drive a third Monster Energy NASCAR Cup Series entry, the No. 36 Ford Mustang. Veterans Michael McDowell and David Ragan will return to drive the Nos. 34 and 38 Ford Mustangs and mentor the 22-year-old Tifft in his Cup series rookie season. 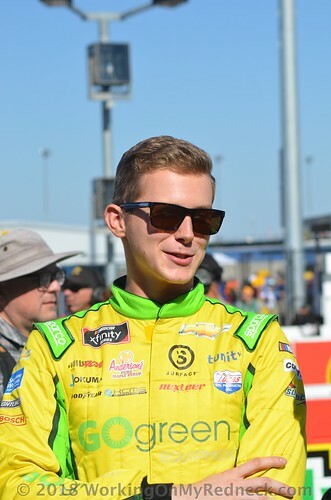 Tifft finished sixth in the NASCAR XFINITY Series championship this season, earning six top-five and 19 top-10 finishes in his 2018 campaign with Richard Childress Racing, making it to the Round of 8 in the series playoffs. In four XFINITY series seasons, the young driver has nine top-five and 38 top-10 finishes, and two poles. “Today is a huge moment in my career, announcing my move to the Cup series,” said Tifft. “This has been a dream of mine since I was a kid, and I can’t believe it’s finally coming true. McDowell will return to the No. 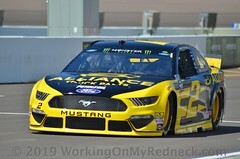 34 in 2019 after completing his first full season with Front Row Motorsports. 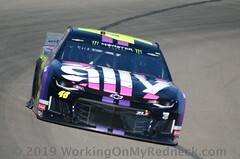 The 11-year Cup series veteran earned a top-10, 2-top-15 and 10 top-20 finishes in 2018 and averaged a starting position of 23rd – the best qualifying average in Front Row team history. Next season will be Ragan’s sixth with Jenkins’ team. The 12-year Cup series veteran earned a top-10, four top-15 and 14 top-20 finishes in 2018. Ragan made Front Row Motorsports history in 2013 when he earned the team its first victory with a last-lap dash to the front at Talladega Superspeedway. 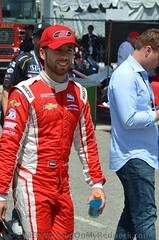 The 2018 season was the first for McDowell and Ragan as teammates. Front Row Motorsports has competed full-time in NASCAR’s premier series since 2009. In that time, countless other race teams have started up and folded. Jenkins is proud of the strategic, steady growth of his team over the past 10 seasons. “We’ve made it clear in recent years that it was our intent to continue to invest in NASCAR and expand to a three-car team,” Jenkins said. “Not only are we here to stay, we’re here to grow. Sponsor partnerships and crew chief pairings will be announced at later dates. For more information about Front Row Motorsports, visit TeamFRM.com. Front Row Motorsports is a winning organization in the Monster Energy NASCAR Cup Series, the premier division of NASCAR competition. The team was founded in 2004 and is owned by Tennessean Bob Jenkins. 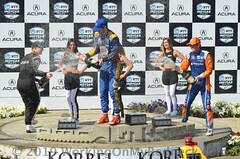 FRM fields three full-time entries – the No. 34 of Michael McDowell, the No. 36 of Matt Tifft and the No. 38 of David Ragan – from its Statesville, N.C., headquarters just outside of Charlotte. The team’s partnership base includes organizations such as Ford Motor Company, Love’s Travel Stops, K-LOVE Radio, 1000Bulbs.com and Shriners Hospitals for Children. 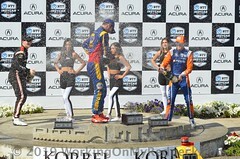 Visit teamfrm.com and follow FRM on Twitter at @Team_FRM and on Facebook at facebook.com/FrontRowMotorsports.